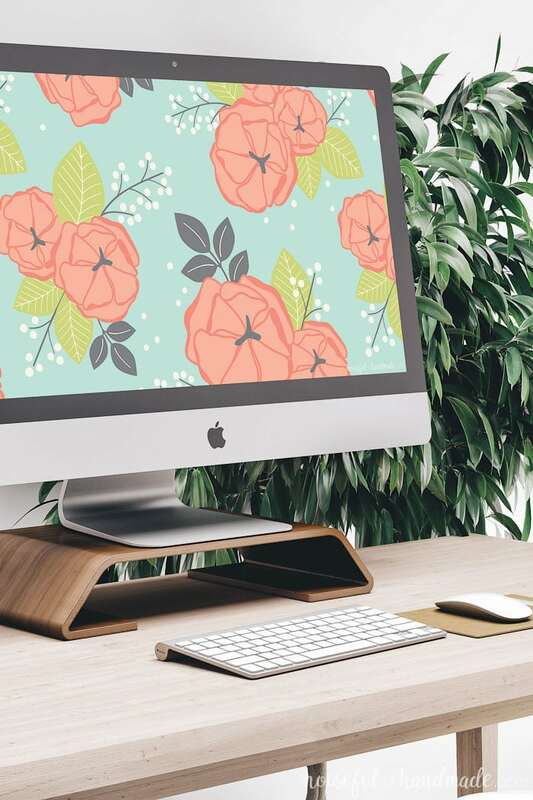 These free digital backgrounds for February are the perfect way to add some decor to your screens. 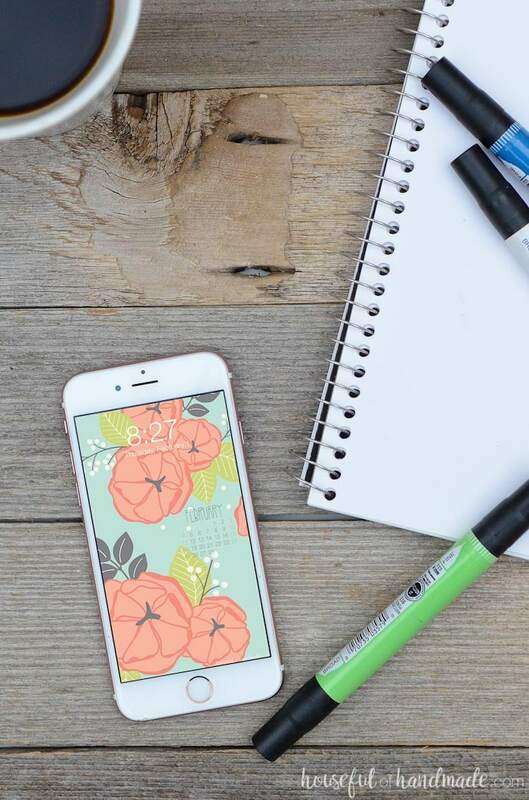 A colorful hand drawn floral print is the perfect way to add a little spring to your smartphone and computer even if the ground is still covered with snow. Download the digital wallpaper with or without a calendar. It’s February! I am pretty excited for the new month because that means the $100 Room Challenge is all done. Just yesterday I shared our colorful farmhouse laundry room reveal. Today we are frantically trying to get caught up on laundry. 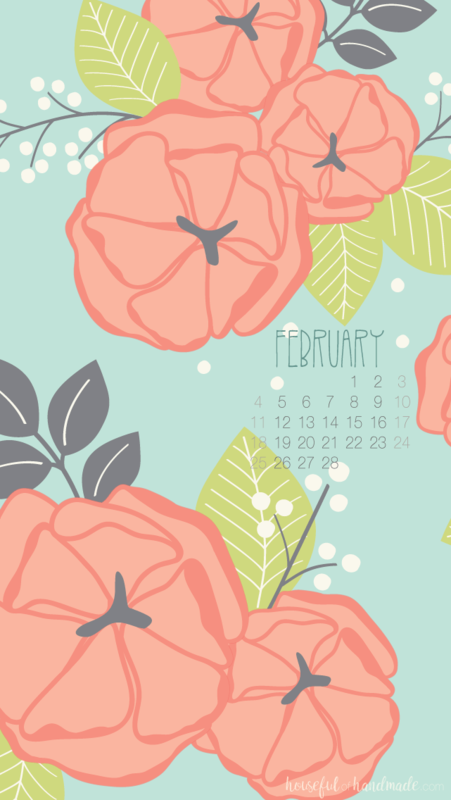 Which is my least favorite chore of all, but at least I have these new pretty free digital backgrounds for February to make it less painful. Now that the big laundry room makeover is done, I find myself ready to start in on another room… And what is the next room you ask? The kitchen! I am both excited and terrified to remodel our kitchen. Our kitchen is original to our 1979 house. The orange oak, dropped ceiling, and florescent lighting have to go. I have been wanting to remodel the kitchen since we bought our home, and now 12 years later we have the know-how and money to do so. I cannot wait to share the process with you this spring. But until we are ready to tear into those outdated kitchen walls (and ceiling), I am going to be sharing some easy home decor tutorials to get our home ready for spring. Who else is ready for the sunshine and warmth of spring? 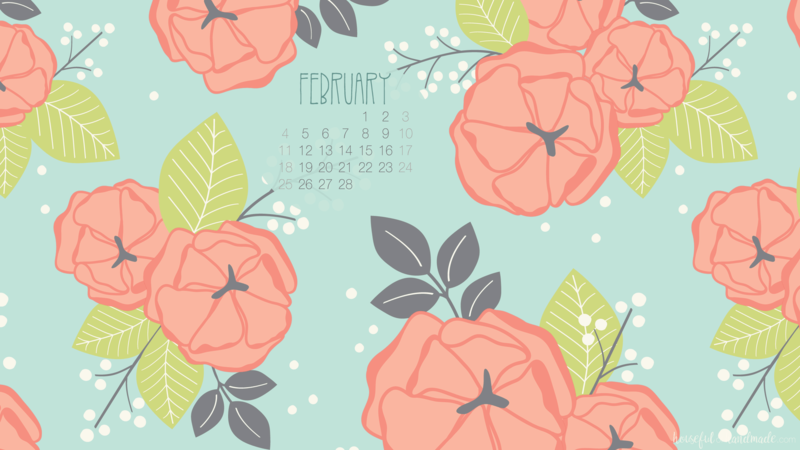 That is what drove me to create this beautiful floral print for the free digital backgrounds for February. 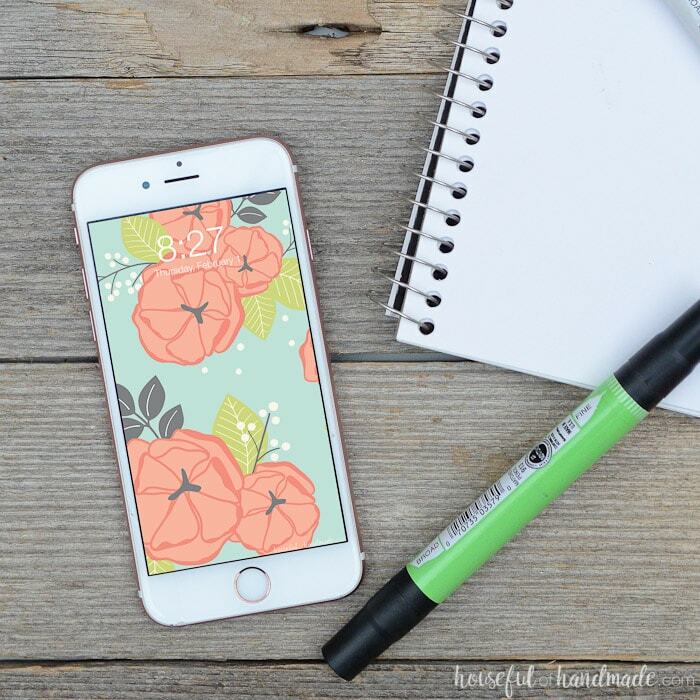 There is just something about bright florals to get me excited for the snow to be done. 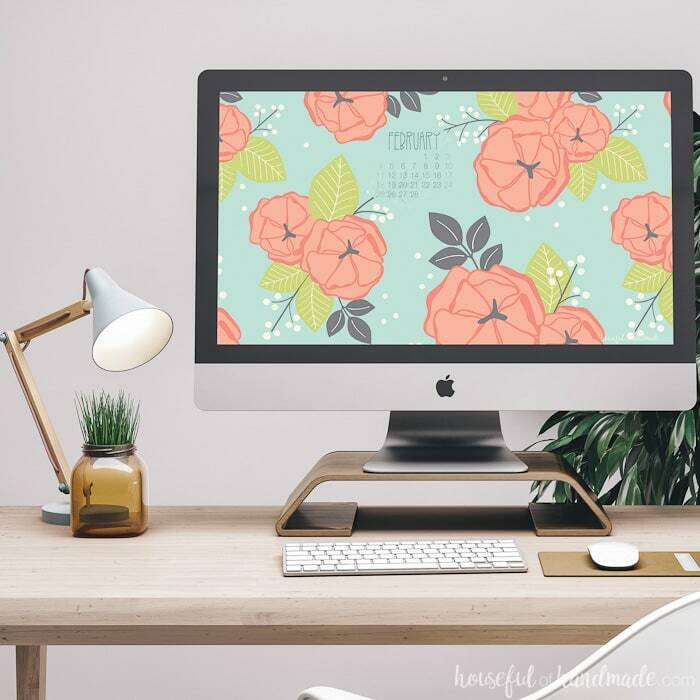 To download your own free digital backgrounds for February, click on the link below for the background (or backgrounds) you want. 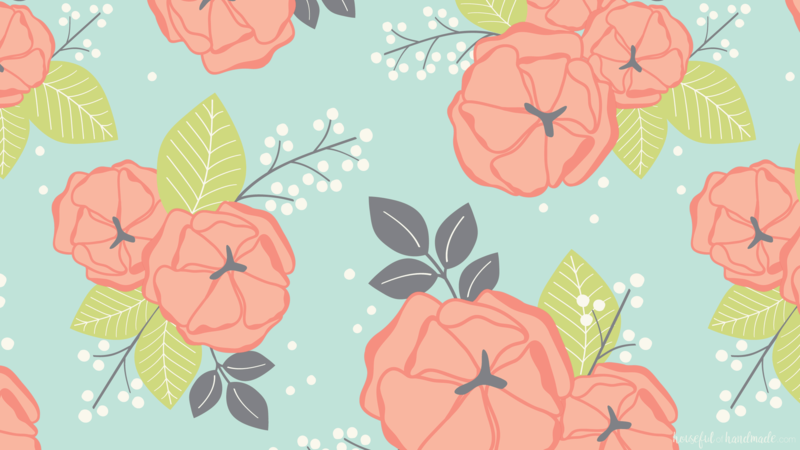 And for more beautiful backgrounds, check out these free digital backgrounds from months past. I always include a non-calendar option so you can return to your favorite digital wallpaper every year! question, what do you use for your designs. iPad pro ? or anything like that for your designing. Hello Maggie, I mostly use Adobe Illustrator. For hand drawn elements I scan or take pictures of my drawings and input them into Illustrator then trace it and clean up digitally. I would love an iPad Pro with the Apple pen (just looked at it with the hubby the other day). Maybe I will get lucky and get one this year.